The Gamble House in Pasadena, as in Proctor and Gamble, is a stunning example of the Arts and Crafts style of architecture, perfected by the brothers Charles and Henry Greene. Greene and Greene houses dot the Pasadena landscape, among other homes built by celebrated architects. There is even a Frank Lloyd Wright just a few blocks away. This national landmark is open to the public from Thursdays – Sundays, 12 noon – 3 pm, with one-hour docent-led tours. 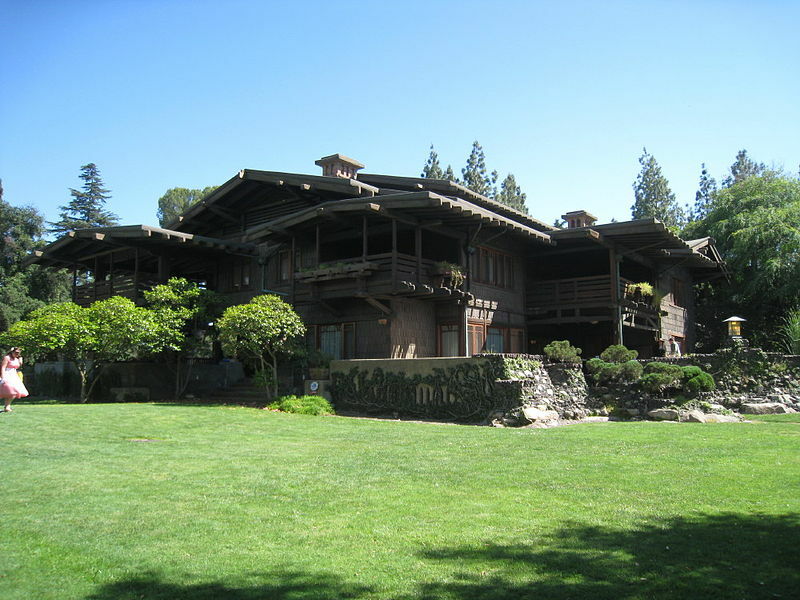 The Gamble House is three miles from The Bungalow. For a limited time only, this summer, the Gamble House will open its upstairs living quarters for exclusive Upstairs Downstairs tours. The Upstairs Downstairs Tours start July 30, and end August 16, 2015. < Previous Hollywood Bowl – An Easy Bus Ride Away!